Yet another first time pass ! Many Congratulations to Andrew Healey of Wilberfoss . 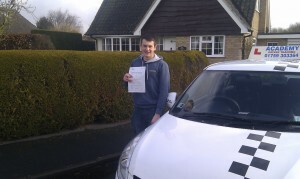 Andrew passed his practical driving test today at York Driving Test Centre. Andrew can now add his name to the list of players from Bishop Wilton F.C who have passed their Driving Test with Academy Driver Training.